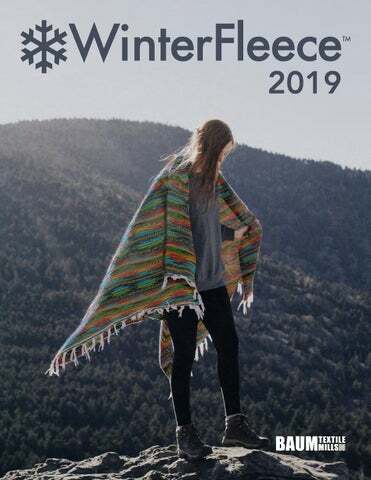 WinterFleece 2019 Baum Textile Mills’ Winter Fleece fabric will keep you warm all year round. 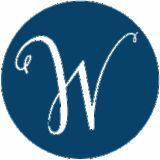 Over 140 unique designs for apparel, accessories, blankets, home decor and so much more! Please Note: Our WinterFleece prints and solids are 100% polyester (58”/60” wide) and are anti-pill on one side with a brushed back. Fabrics in this catalog do not meet the flammability standards for children’s sleepwear and are not intended or suitable for children’s sleepwear. Images depicted may not be an exact color match or be to scale. If you have any questions, please do not hesitate to contact us. info@baumtextile.com www.baumtextile.com P: 866.842.7631 F: 201.659.9719 FLEECE FEATURED ON COVER: 38873-1 SUNSET STRIPE, BLUE...GO TO PAGE 16. Micro Chamois from Heather Ross - Stay Tuned! are also available in micro chamois fabric. Swatch marked with BF is available in bunting fleece fabric.